Reality is something we cannot avoid or escape from. Everyday we will face a new life reality in experiences and challenges. What we receive now is come from what we have planned before, come from what we have dreamed before, come from what we prayed before. Time will answer everything, our goal and dream suddenly become real. Real false or real right. Real expected or real unexpected.Sometimes we have to give up on our goal and dream. Not because we have not tried, we have not pushed our self, and we have not prayed. But because we cannot control everything. What we can control is ourselves, our expectations and our attitudes. At the end, we will facing a new choices. Either to take it or leave it. Either to turn right or left. Either to move forward or turn around. 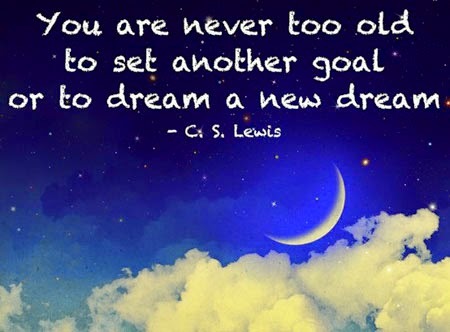 We have to set another goal or to dream a new dream. Everything has its own signs to help you make choices. Don't be afraid to make up your decision. Don't let things control and drive you to something you don't want. Be your self. Your decision will determine your life.